Barrel caliber – 14 mm, pistol barrel length – 27 cm, total pistol length – 40.0 cm, pistol weight – 0.94 kg. To fire a shot from a detonating pistol this type of weapon must be loaded. 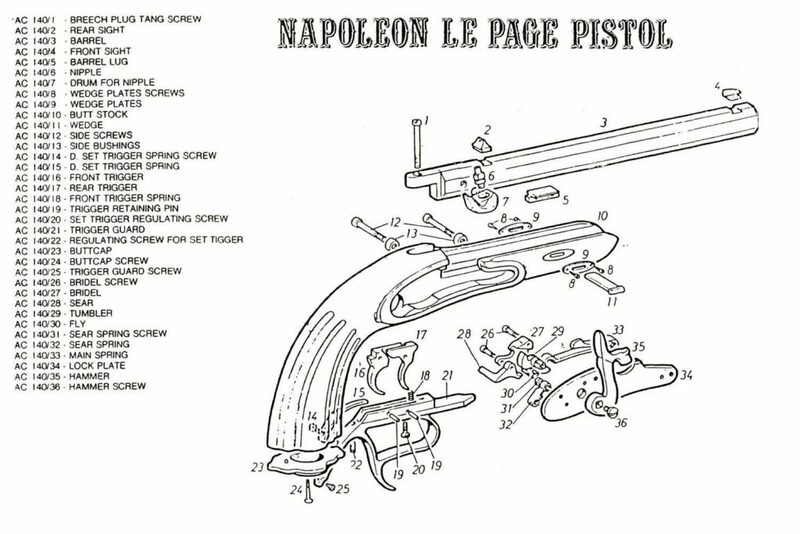 The detonating pistol is loaded by fixing the hammer in a dedicated position with the cocking lever lug. In cocking, this tensions the firing spring that releases to ensure the required striking strength to produce a spark. The spark ignites the priming powder that, in turn, ignites the main powder charge required to fire a shot. Detonating pistol as an original weapon was made by the skillful gunsmiths at the start of the 19th century. This particular specimen was made by gunsmith Mikhailov who manufactured dueling pistols in Tula. 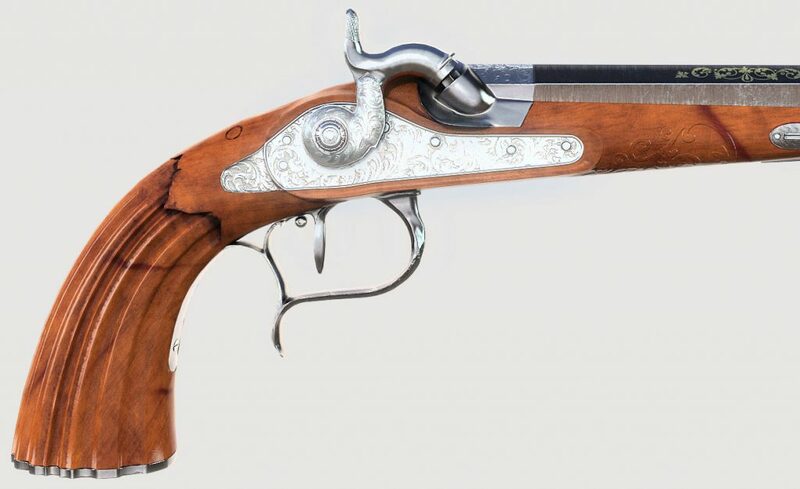 The pistol, peculiar by structure and design, is uniquely engraved and embossed with precious metals. The detonating dueling pistol has blued, octangular and rifled barrel, distinct for its special trimming. It has a special silver lining in its forepart. On the other side of the weapon you see custom-made framing by a dedicated and originally finished silver shield. In the bottom part of the pistol gunsmith Mikhailov attached a special snake-shaped lining of maillechort. 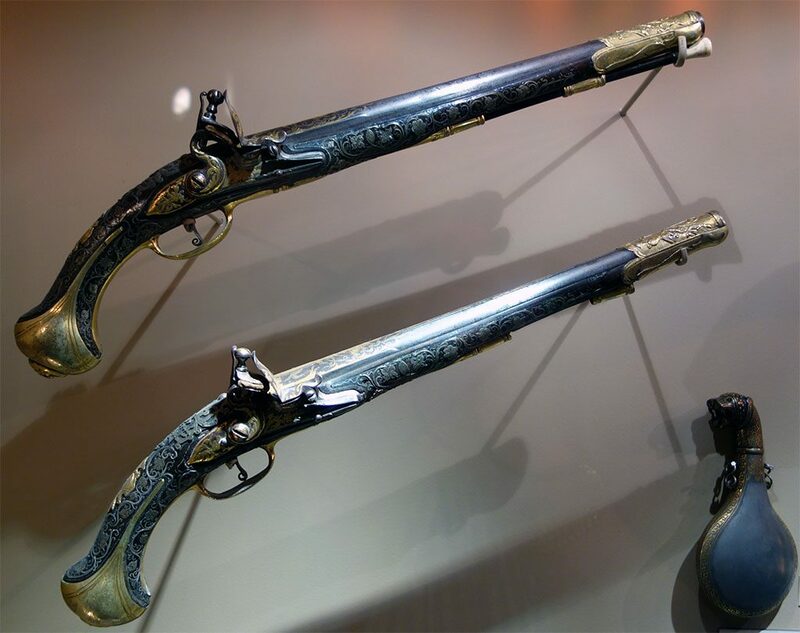 In those distant ages, all dueling pistols were sold in special cases, were labeled “1” or “2”. Our specimen of the detonating dueling pistol was presented to the museum on 15 May 1967 by A.M. Fateev, a renowned retired colonel. He was an honored master of parachuting. 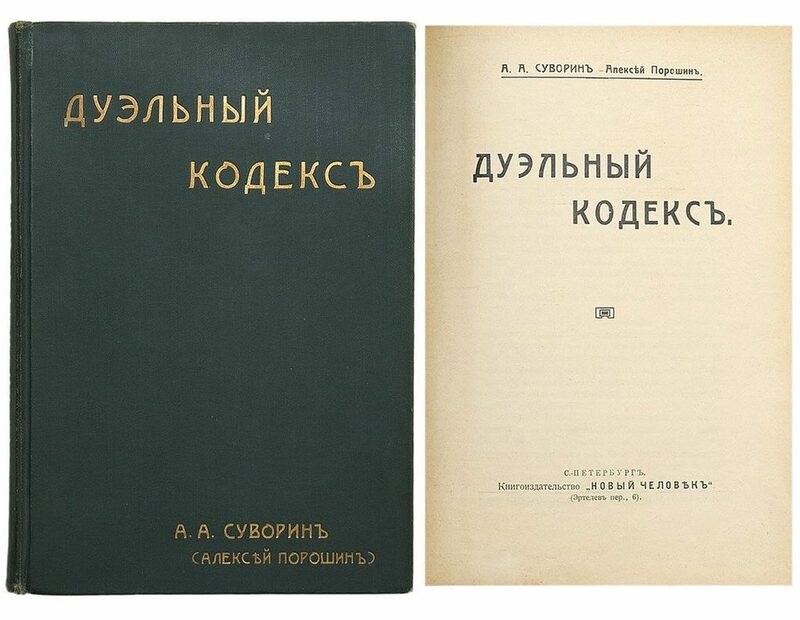 For his unmatched achievements in the development of parachuting and testing the latest parachute models, in 1936 the military leaders presented to Fateev a set of detonating dueling pistols. He transferred one pistol to the museum and kept the other one. The engraving is on a special plate attached to the pistol body. 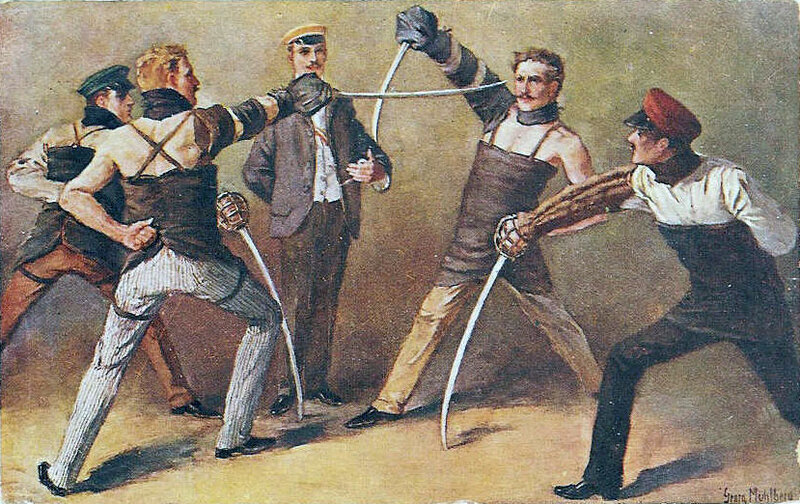 Until mid-18th century solely swords and other stabbing weapons were used in duels. 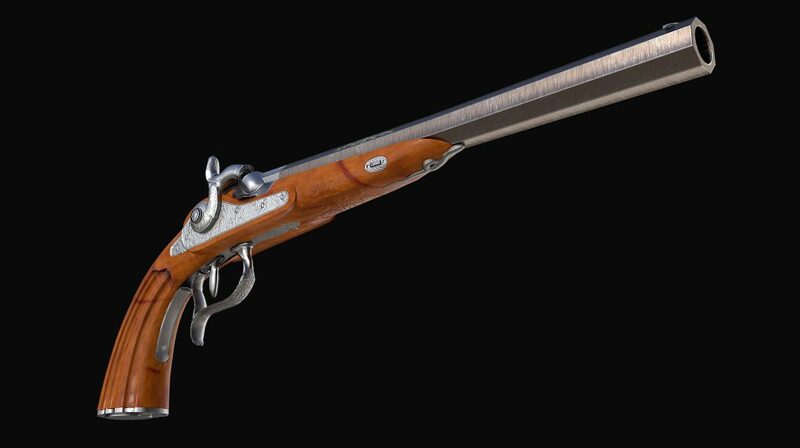 Starting from the second half of the 18th century, pistols gained popularity as individual dueling weapons. It was when dedicated dueling pistols emerged. Such pistols differed from conventional specimens by the peculiar octangular rifled barrel. Exquisite external trimming and a special barrel imparted exclusivity and maximum shooting precision. 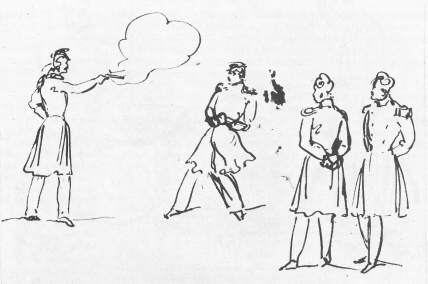 Detonating dueling pistols were produced in pairs to equalize the chances for the opponents as much as possible. 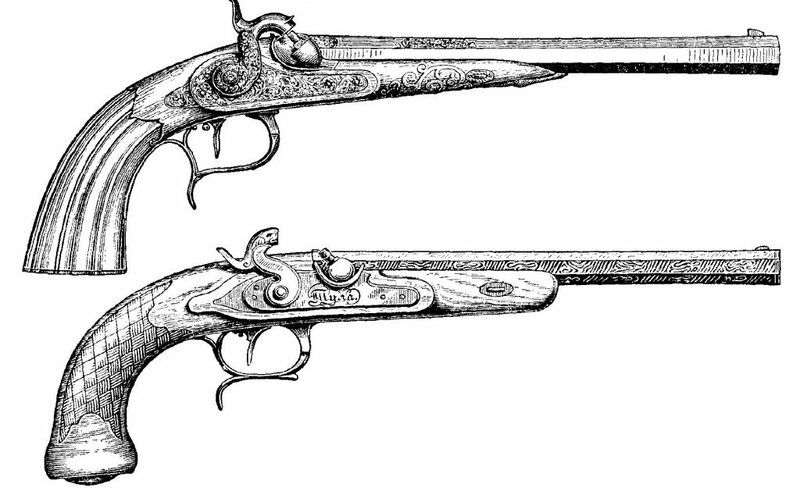 Individually decorated dueling pistols came into fashion by late 18th century. Such original dueling pistols were supplied in special cases with customized accessories which their owners could be proud of. The original stock of detonating dueling pistols was made of Karelian birch or various ebony species, and additionally treated. The extra-strong barrels were made solely of Damascus steel. After further bluing the barrels acquired custom noble and exquisite tints. 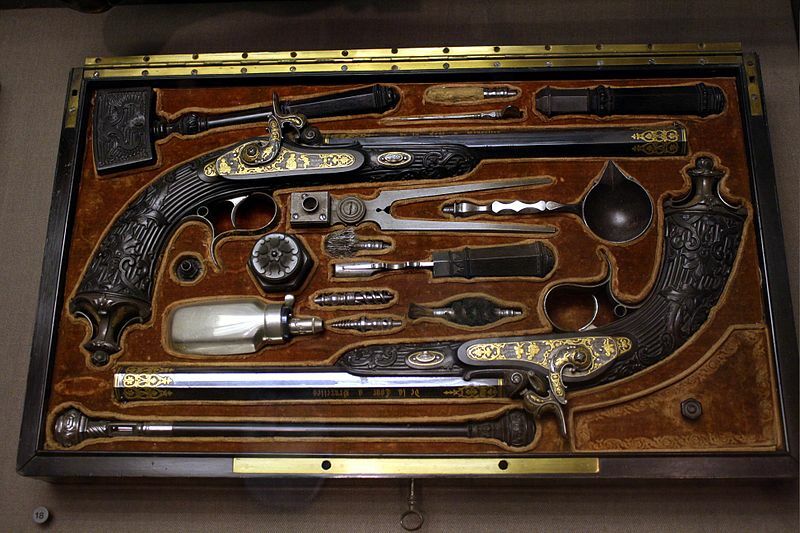 Weapons wrought by renowned Tula gunsmiths was the most popular and eagerly sought at the time. 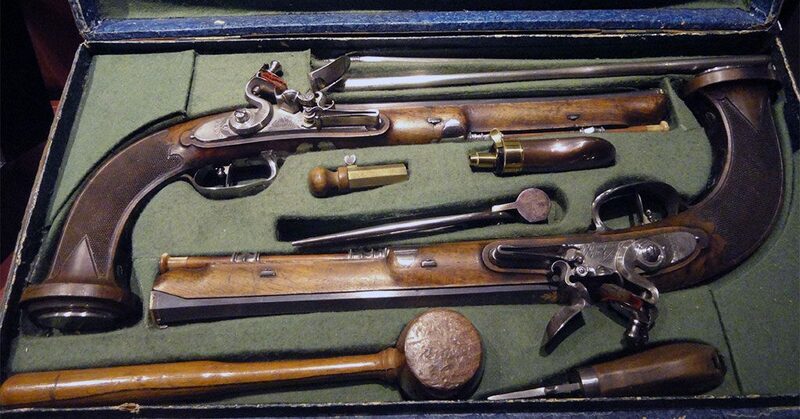 At the start of the 19th century the range of prominent Tula-based gunsmiths who produced detonating dueling pistols included Alexey Babyakin, Nikita Krapiventsov, Gavrila Mikhailov. Those artisans manufactured tailor-made pistol models, decorated by plates of various precious metals. The plates contained engravings and monograms of their owners. Each pistol was a truly masterpiece of gun smithing. Fashion for duels reached our country from Western Europe. The first duels were held by some foreign officers temporarily in the Russian service in late 17th century. During his reign, in 1715 Emperor Peter the Great totally banned dueling throughout the country. However, under Catherine the Great the popularity dueling revived among a multitude of nobles. The overarching goal of dueling was to obtain maximum satisfaction from the offender for a definite offense to the notion of honor. A dedicated dueling code governing all major rules and provisions for the fight was used then. The code represented a body of rules that governed the main grounds for challenge, defined types of matches, the entire preparations for the event and other nuances. To call the shots, we can conclude that detonating dueling pistols were a symbol of honor and dignity. Any dueling pistol type in the hands of an experienced shooter left scarce chances to the opponent. Distinct qualities of both duel participants, in terms of available experience, personal moral and physical features, could not make a match equal in strength. Those who assume that similar pistol models guaranteed most equal chances in the duel are profoundly wrong. Such comparison is only true for more ancient weapons, such as swords or sabers. Duels claimed so many lives of gifted and noble people. 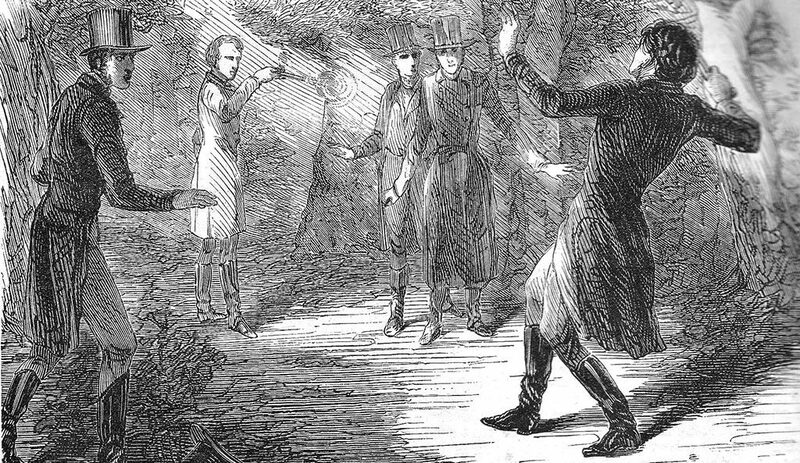 Perhaps a most notorious duel of that kind in Russia was the match between Alexander Pushkin and Georges d’Anthes that ended fatally for the Russian poet.